Published by Mountainblog on 12/05/2012 . Ambassador-driven and built with GORE-TEX® Pro Shell® product technology, the PowSlayer kit comes equipped with new features and fit articulations specific to backcountry freeriding. 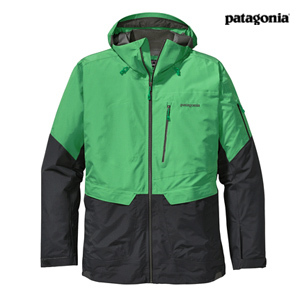 Fabric details: 3-layer, 3.2-oz 40-denier 100% nylon GORE-TEX® Pro Shell® fabric. Reinforcements: 3-layer, 3.8-oz 70-denier 100% nylon GORE-TEX® Pro Shell® fabric. All with a DWR finish.